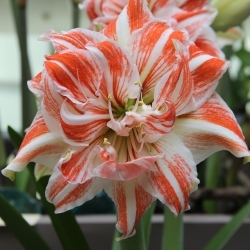 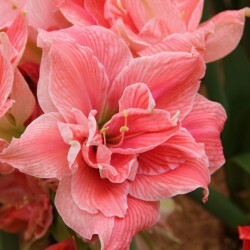 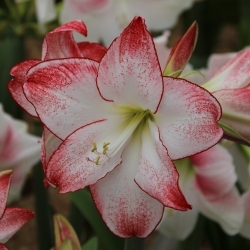 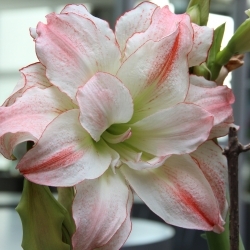 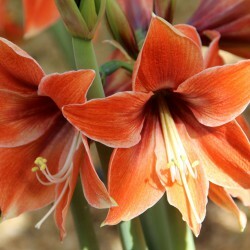 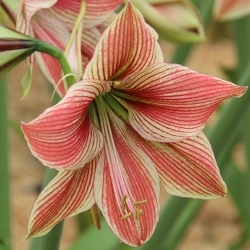 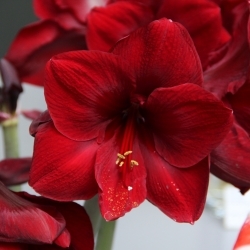 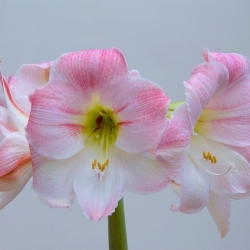 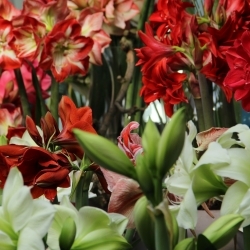 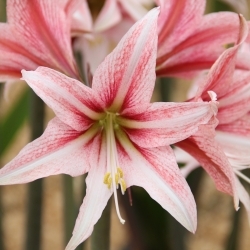 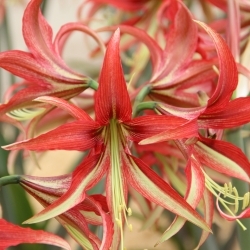 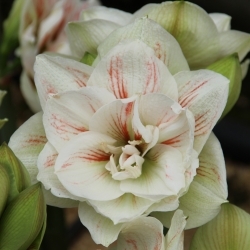 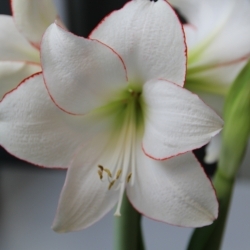 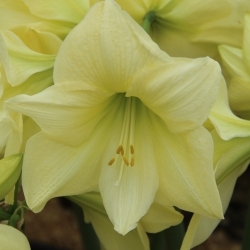 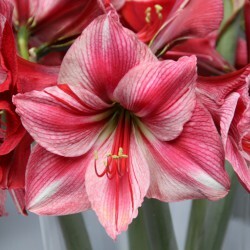 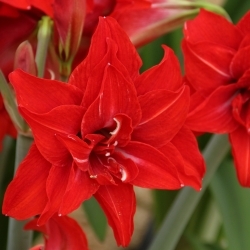 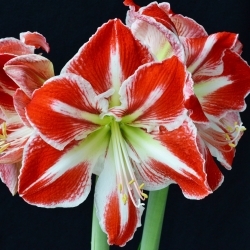 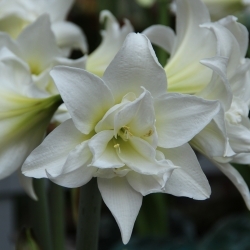 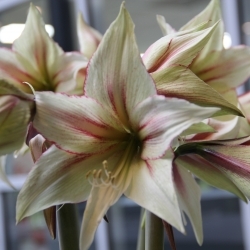 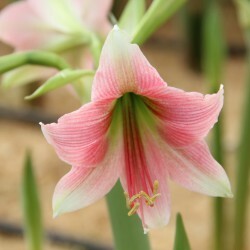 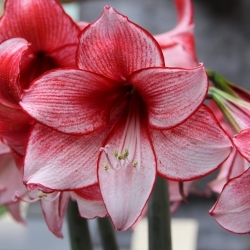 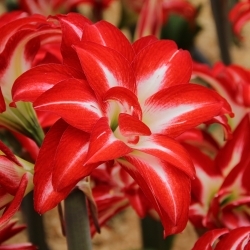 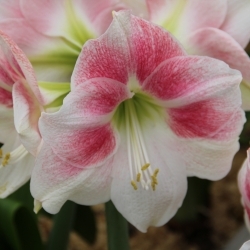 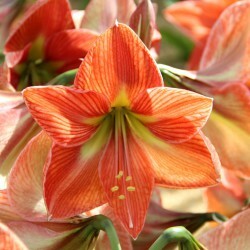 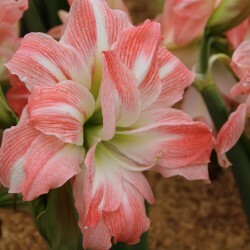 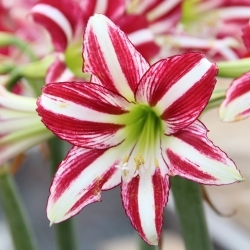 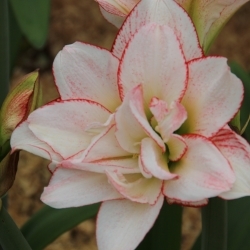 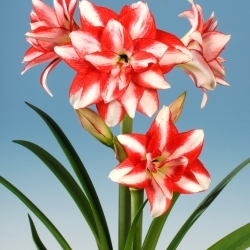 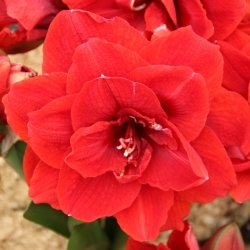 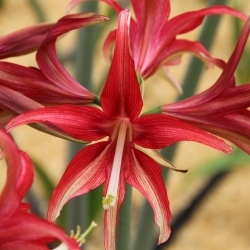 Hippeastrum (Amaryllis). 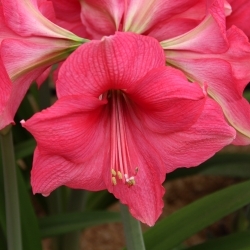 Categorized in large-flowered species, small-flowered species, double-flowered species and multiflowered species. 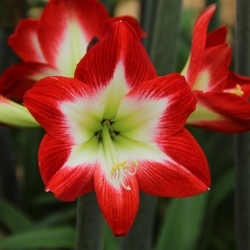 Available between early September and late April. 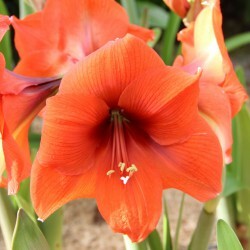 Plant the bulb halfway into the soil. 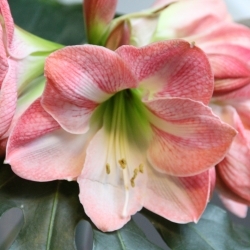 Use a large pot with a drainage hole. 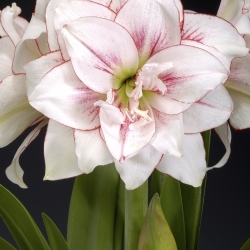 For development of the stem, warmth is especially important, therefore it is best to keep it at room temperature. 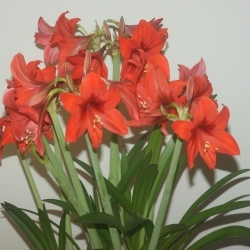 Needs little water until the stem emerges. 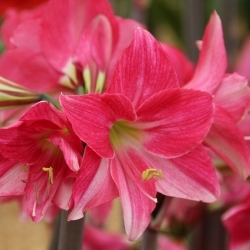 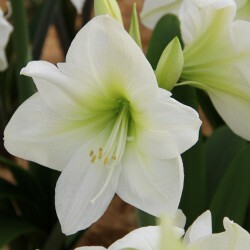 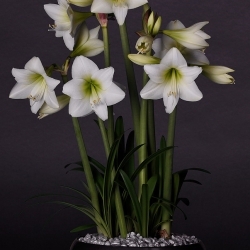 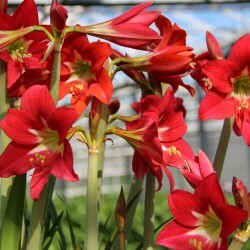 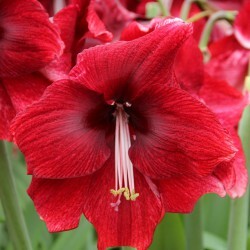 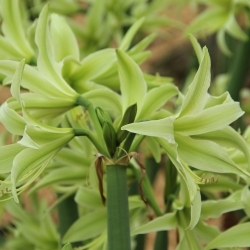 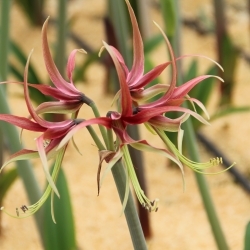 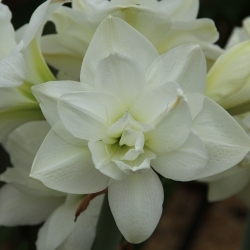 Once the bud and the leaf appears, the amaryllis needs to be watered daily. 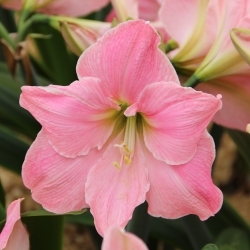 In winter, it takes about 6 to 10 weeks after potting up before it comes into bloom.